BANGLADESH. Dhaka. 2010. 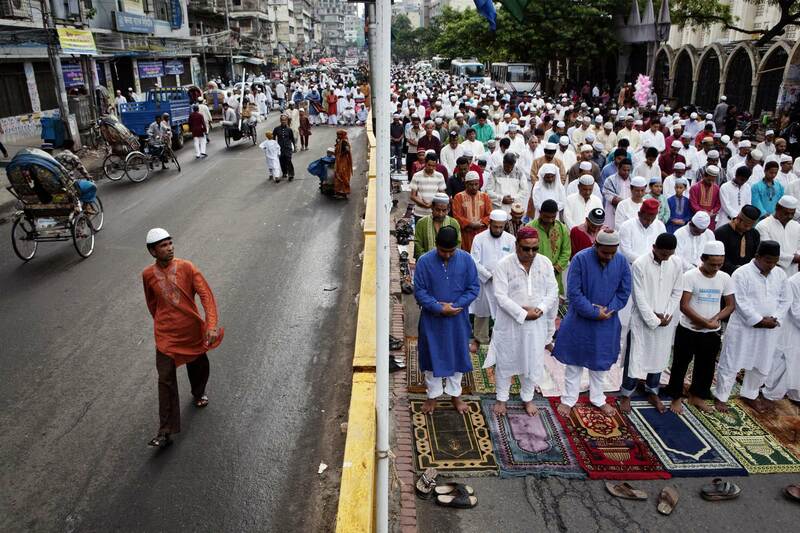 During Eid ul-Fitr, worshippers spill out on the street in front of a mosque. Dhaka’s population is one of the fastest growing in the world, with over 500,000 new people added every year.